APPLETON - Gov. 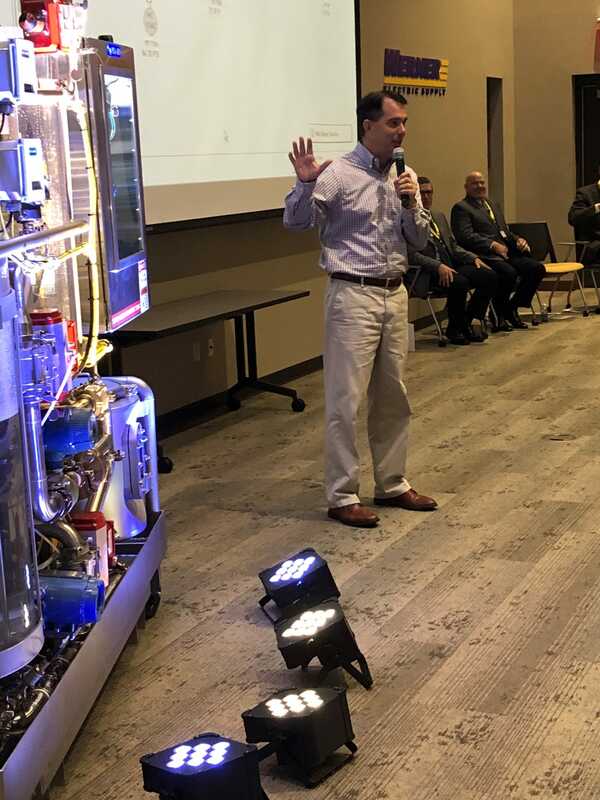 Scott Walker addressed the importance of workforce development in manufacturing fields during a visit Wednesday to Werner Electric Supply. The governor also spoke about his decision earlier this week to declare a state of emergency on Door County`s Washington Island after an underwater electrical cable failure.